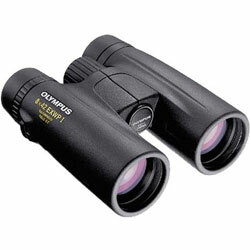 Below are all the Olympus Binoculars that I have so far reviewed on the Best Binoculars & Binocular Reviews website. Tough, waterproof with great optics, the 8x42 Olympus Magellan binoculars make excellent bird watching and general nature viewing binoculars. Excellent Nature and Birding binoculars, the 10x42 Olympus Magellan binoculars are tough, waterproof, excellent quality optics.